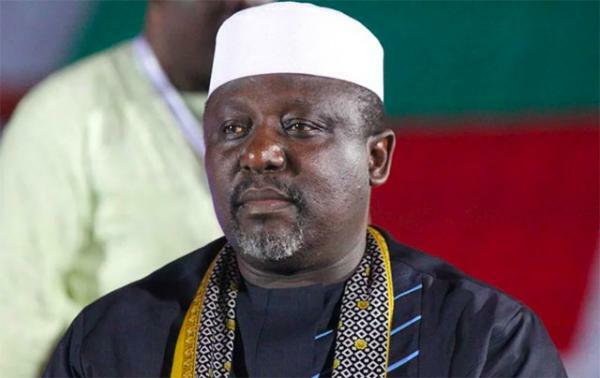 The All Progressives Congress (APC) has accused the Governor Rochas Akorocha of Imo State of peddling falsehood lamenting his libelous attacks on the party and its national leadership in the media daily. The statement signed by the National Publicity Secretary of the party, Mallam Bolaji Abdullahi ,accused the Imo State governor of forgery, warning that it shall not tolerate Okorocha’s constant assault on the party, either directly or through proxies. The statement read, “In recent weeks, the Imo State Governor, Rochas Okorocha, has made libellous attacks on our Party and its leaders a daily occurrence. Hardly a day passes by without Governor Okorocha verbally assaulting our National Chairman, Chief John Odigie-Oyegun and other Party leaders over the recently concluded Congresses in Imo State. “In an advertorial published in the newspaper of June 11, 2018 and titled in part: “Let The Truth Speak For Itself”which was signed by a known associate of Governor Okorocha, one Hon. Ireagwu Obioma, who styles himself as ‘Acting Secretary, Imo APC’, a number of false claims were made against the party. “A cursory look at the published court papers revealed that the party was served the so-called court rulings on May 18, 2018, while the Ward and Local Government Congresses which produced the recently inaugurated party executives from the state was held on May 5 and 14, 2018 respectively, four days before the court ruling was issued. “In fact, we strongly believe that the court ruling being paraded as injunction does not serve Governor Okorocha’s interest. “At the time of the ruling a new set of party executives had been validly elected, consequently the court ruling directing that the status quo is maintained, actually means that no one should interfere with the newly elected APC party executives in the state. “Also in the advertorial, a so-called internal party memo was published, which purportedly showed that we were aware of the pendency of the legal issues involving the congresses in Imo and Abia states. “The published ‘memo’ by the agents of the Imo State governor is fake. No such memo was generated by our party. A casual look will reveal the inconsistency of the published document. “The memo, according to the published advertorial, was generated by the Chief of Staff to the APC National Chairman, Edwin Ikhinmwin but was signed by the Party’s Legal Adviser, Dr. Muiz Banire (SAN). “It is impossible for such an incoherent document to have emerged from our party, or any sane organisation – for one person to generate a memo and another person to sign it! “Indeed Banire, our party’s Legal Adviser and the Chief of Staff, have denounced the document as fake, stating clearly that they neither originated nor signed such memo. “This is therefore, a clear case of forgery borne out of desperation. We are currently seeking legal advice on how to proceed with the matter to ensure that those culpable are identified and duly punished. “The sensible thing to do when you find yourself in a ditch is to stop digging. We therefore, once again urge Governor Okorocha to tread the path of caution and reconciliation and to work with the duly elected party executives in the state for the good of the party. “We shall however not tolerate his constant assault on the party, either directly or through proxies,” the party warned. Is Okorocha hanging in his own gallow or witch hunted.